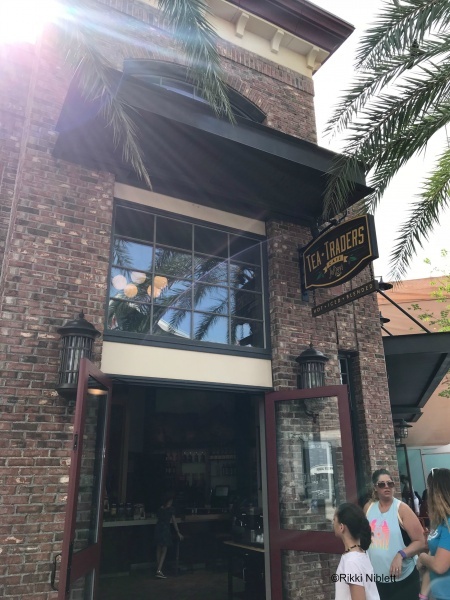 Earlier this summer I learned that Joffrey’s Coffee was introducing a brand new and unique effect on their coffee available at Joffrey’s Tea Traders found at Disney Springs. 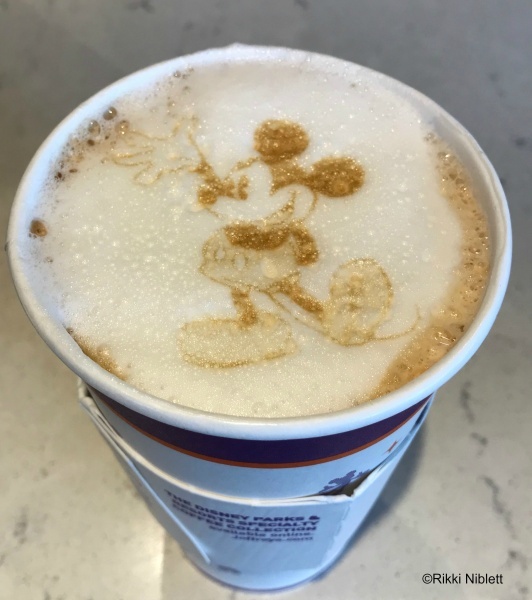 Courtesy of what is known as a “Ripple Maker”, Guests could now have Disney character-inspired coffee art. What?! Ok…this was cool and I had to experience it for myself. First, let’s start with just where is Joffrey’s Tea Traders? 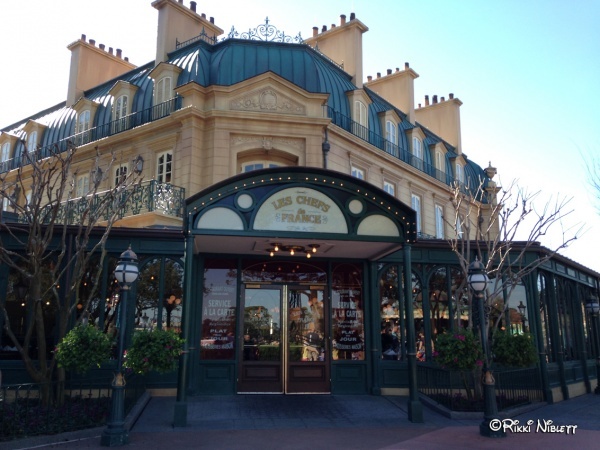 This little shop is located in The Landing section of Disney Springs, sort of catty corner from The BOATHOUSE. While the shop offers up many different iced and hot beverages, they really specialize in offering a ton of great looseleaf tea options. Coffees, of course, are also offered, as well as smoothies. They really have a wonderful variety of beverage choices. One thing to keep in mind is that this is a place you aren’t going to be able to sit and enjoy your beverage. 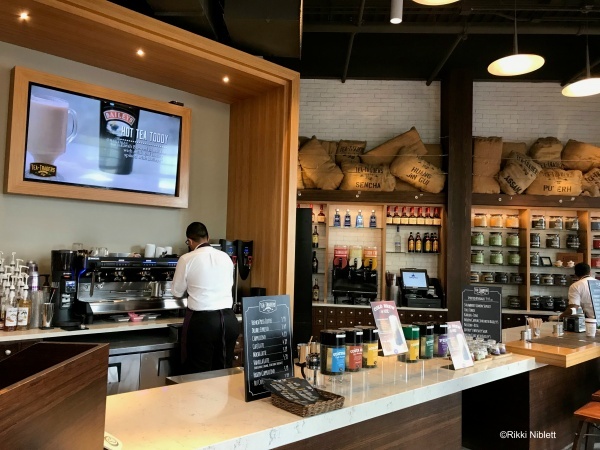 Instead, Joffrey’s Tea Traders is set up so that most people can easily take their beverage on the go, so they can enjoy it while shopping at Disney Springs. There are a few stools though, in case you want to stop and rest for a minute. So, let’s get back to this incredible coffee option! The Ripple Maker allows the coffee and tea shop to be able to print edible toner (made of coffee dust) onto the top of any foamy beverage. It was suggested to me that it not be done on any beverage with matcha because, well green and brown don’t really go together well, meaning you won’t be able to see the design on top of your drink very well. 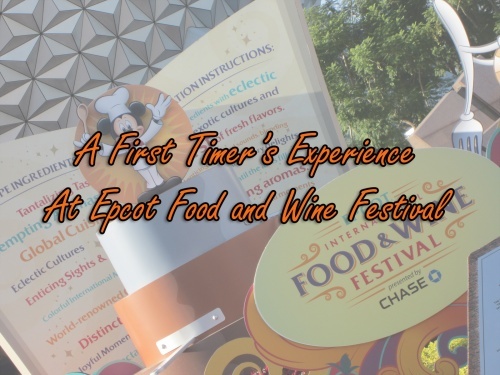 Currently, there are four different images that Guests can choose from to have added on top of their coffee. You can choose the Disney Springs logo, the Joffrey’s logo, Minnie Mouse, or like I chose, the main mouse himself, Mickey. Keep in mind, you will have to pay extra for the design to be added to your coffee. It was a small fee though. The process to add the art to the top of your drink only takes about 20 seconds or so to complete and you are handed a beautiful and Instagrammable beverage! 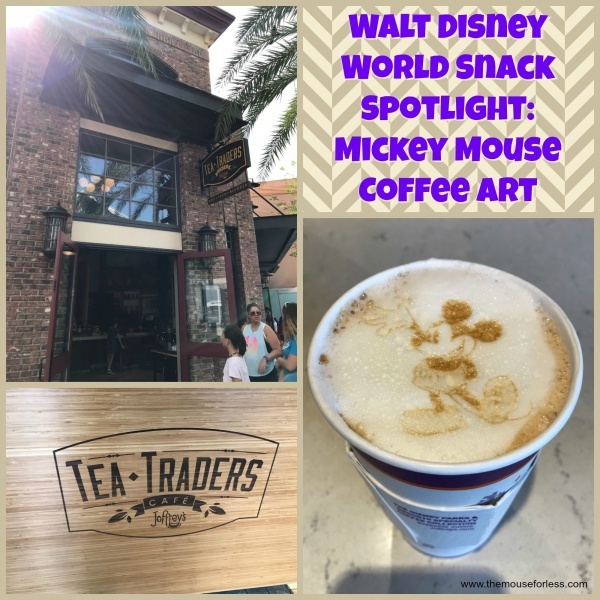 Adding the coffee art is really just a fun thing to do to feel even more Disney spirit. I would totally do it again too! Have you gotten this adorable treat yet? Share your thoughts in the comments.